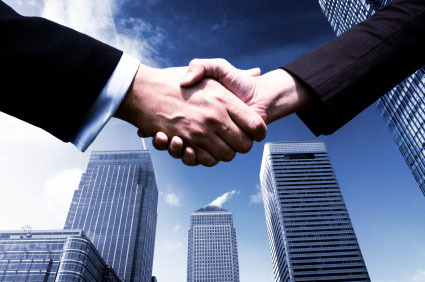 We can help with commercial bridging loans for any ind of business project in any sector. Every client is treated with the strictest of confidence. Every case is judged individually on its own merits with a history of adverse credit not necessarily a deciding factor. With commercial finance, it is always important to consider every kind finance possible to determine the most suitable for your requirements. As well as long term loans and credit, bridging finance might also be a good fit. It is particularly useful when a business is in need of flexibility. A short term line of credit to deal with certain expenses or to purchase capital whilst waiting for a future expected amount of cash money to arrive. This can often be more preferable than a business tying itself in to a longer, more drawn out contractual obligation. Usually a commercial bridging loan will be used on a short term basis. However, bridging loans can often run between periods of two weeks and up to three years. “Open” bridging solutions are used when the borrower doesn’t know exactly when the required funds will be required by. Most UK businesses will, at some point in their lifespan, need some short-term funding. The reasons will usually differ, but they will expect a lump sum to be arriving at a specific time. This is why it is called a bridging loan. It ‘bridges’ the gap between the date you make the purchase and the day you acquire the lump sum. What are you using as security? Before contacting a broker or a lender you will need to be clear of what you are willing to use as security on your bridging loan. Commercial bridging finance is a secured type of borrowing. Common examples of security are property, land or other business assets such as stocks. Whilst an upper limit isn’t something you will usually find with bridging finance, it is still important to limit the loan size to only what is necessary. How long will it be needed for? You will also need to know how long you will be needing the loan for before you speak to a broker or a lender. Most finance deals like this are designed to be very short term. Lenders will want to know the term as well as having a clear idea of what your exit strategy is. Bridging loans tend to have interest rates quoted on a monthly basis. Interest rates will tend to start at 1%. This is why bridge funding is usually short term. Longer term approaches can be very costly. If you have any questions related to bridging finance, would like some free advice, a quotation or to make a direct application please don’t hesitate to contact us. You can contact me directly on 07710 525151 or fill out an enquiry by clicking the button below. Alan has been a financial adviser for a number of years now specialising in mortgages and bridging. Alan is the managing director of Hampshire based mortgage broker “Mortgage Integrity”. Before financial advising, Alan spent a number of years doing property development and his first introduction to bridging finance was a loan he was taking out in order to develop a property! The many years Alan spent in property development and the many times he personally required bridging finance gives him a unique perspective and understanding from both sides. Alan’s contacts in the property development industry gives him insider access to hot, off-market property deals so drop him an email if you would like some info. Last updated by Alan Shaw at December 9, 2013 . Fill out the quick enquiry form below and we will get back to you shortly with an answer to your question.